Keep updated on the latest news about Ultra-Seal. Enter your email address here and you will automatically receive our newsletter. Sign up for Ultra-Seal’s newsletter and keep up-to-date on the latest news and developments. By submitting above personal data to Ultra-Seal, I hereby consent to receive marketing materials and information about Ultra-Seal’s products and services. If you wish to withdraw your consent, you can always unsubscribe from the Ultra-Seal newsletter at the bottom of the newsletter or through the form above and we will stop sending you newsletters. The Danish retreading plant Vulkan has successfully retreaded 47 tyres that had originally been treated with Ultra-Seal. With an impressive success rate of 94% (47 out of 50 tyres) the retreaded tyres passed all tests and are ready for use again. Because Ultra-Seal covers the inner surface of the tyre, it seals it and keeps the tyre pressure. As a result, casings are being held in optimal condition that has attributed to the high success rate. Vulkan uses a special technique - the Marangoni Ring Tread System, where the tread is moulded as a ring and mounted directly on the carcass - with no trimming or joining of the tread and without the rubber stretched inappropriately. 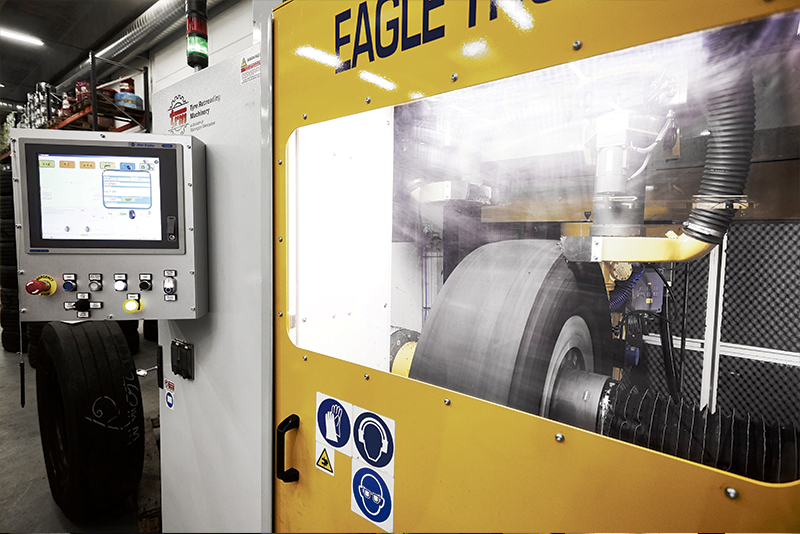 The combination of the Ring Tread System and Vulkan’s modern production facility ensures that they are able to offer tyres that are of the same high quality as new tyres, with all the benefits that the retreaded tyres have. Where TIP Trailer Sweden has pioneered in distributing Ultra-Seal, Tip Trailer Denmark is now servicing Ultra-Seal out of the following locations as well: Taastrup, Padborg, Hirtshals, Taulov & Aarhus. TIP Trailer Finland has recently started offering Ultra-Seal and several TIP locations from Germany are gearing up to follow. 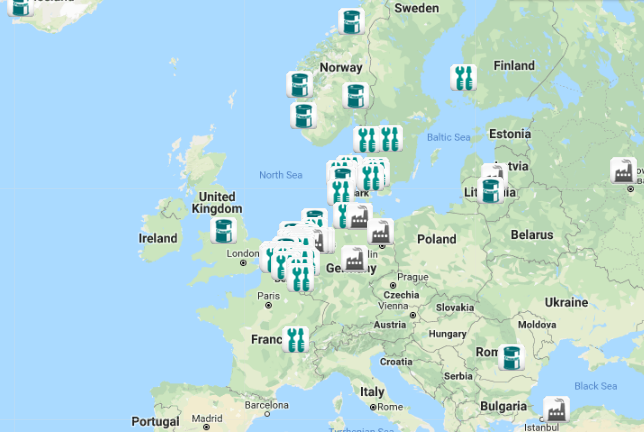 Ultra-Seal is available throughout Europe via a comprehensive network of (spare parts) dealers who can assist with the product and tools to fill your tyres with Ultra-Seal and filling stations that have the product and equipment in-house to fill the tyres for you. 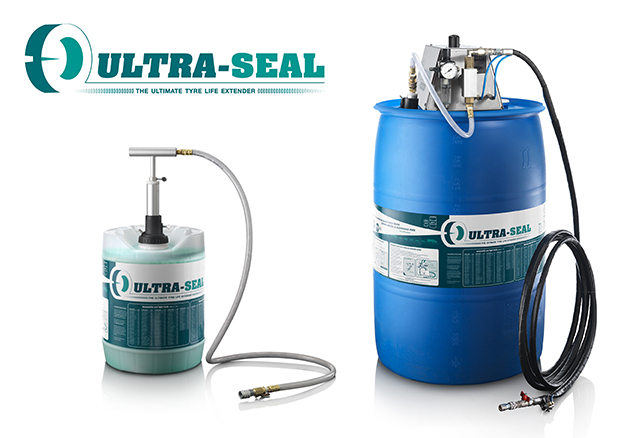 To find your nearest Ultra-Seal distributor visit our website and select and contact your preferred distributor! Tyres need to be repaired when a visual damage is being detected. 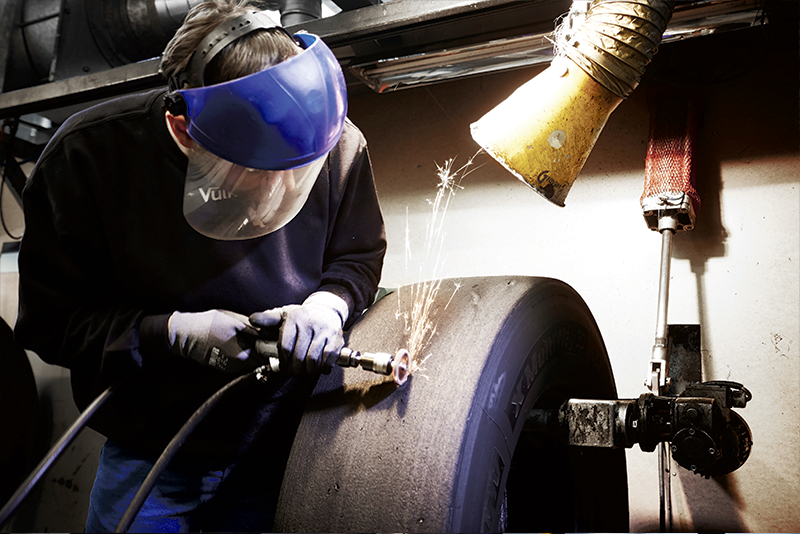 A tyre with Ultra-Seal can be repaired via a normal tyre repair. The only difference is the repair area that needs to be free of Ultra-Seal which can be done using some cleaning paper. When grinding a damage before a plug or patch is added, rubber particles fall into the Ultra-Seal liquid. This is perfectly okay since Ultra-Seal contains natural rubber parts as well. 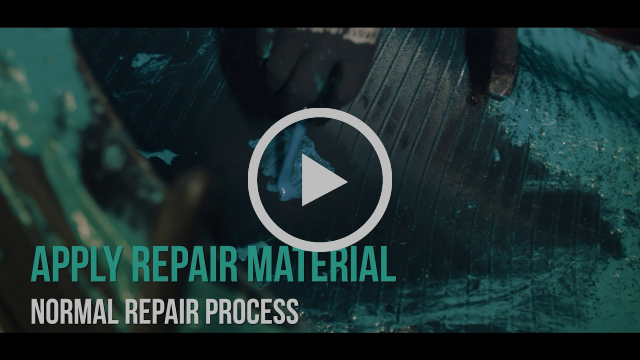 After the damage is repaired, you can refill the Ultra-Seal amount that got ‘lost’ during the sealing of the puncture or during the repair. Watch the video here below or on our website. ‘The ultimate tyre life extender’ is a preventative tyre sealant liquid which was invented to protect tyres from leaks, punctures and blowouts. It seals most punctures as they happen, it ensures heat reduction, extends tyre life by keeping the air pressure in the tyre, minimises tyre wear and reduces fuel consumption. It remains effective for the complete life of the tyre, without having to undergo extra maintenance. Ultra-Seal is environmentally friendly and provides the driver with an extra safety factor. Subscribe to our newsletter to stay updated on the latest news and developments and like us on Facebook or follow us on LinkedIn. Contact us here to find out more about the possibilities of Ultra-Seal for your business operations. Tested and approved by DSV and other leaders in the transport industry. 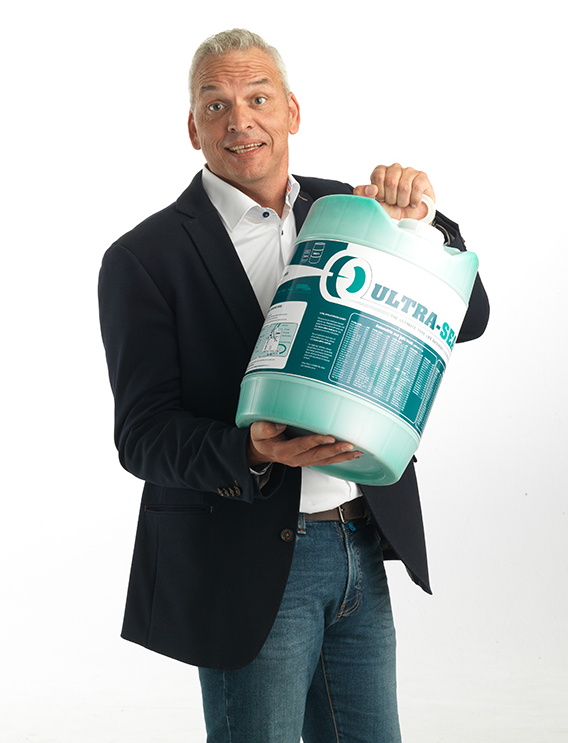 Stay tuned for our next Newsletter in which two of our newest clients: Trawöger and Remitrans share their experiences with Ultra-Seal and what it did for their business operations! From May 2018, Schmitz Cargobull is offering trailer tyres with Ultra-Seal to its customers. The partnership with Ultra-Seal was finalized after having performed a comprehensive testing and clearance phase of the combination of Ultra-Seal with tyres, rims and valves. The 3-year contract between Schmitz Cargobull and Ultra-Seal involves supplier warranty on tyres and rims for approved combinations when using Ultra-Seal. “We are always interested in finding new products that can benefit our customers. “The timing of completing the cooperation between Schmitz Cargobull and Ultra-Seal is perfect; we have put great effort into clearing some of the aspects that might raise questions or cause reluctance with end-users, such as the technical aspect on the warranty of rims and the political lobby against Ultra-Seal and the attack it has suffered from tyre associations. As Ultra-Seal has won all court cases against the BundesReifenVerband (BRV), it has shown that these aspects are no longer an issue. Furthermore, third-party suppliers are now offering normal warranty, so the road is cleared for customers to get maximum performance from their tyres, which we of course heavily applaud. * Change in Danish legislation on trailer MOT regarding tyre sealants non-legally based? After 3 courts’ decisions in favour of Ultra-Seal on several court cases against the BRV in Germany, Ultra-Seal recently collected another positive outcome in an oral hearing at the Regional Court (Landgericht) of Cologne about erroneous allegations by the BRV on environment and the collection of tyre casings (file no. 33 O 153/17). The oral hearing was conducted by the BRV, based on a preliminary injunction issued by the Regional Court regarding wrong allegations by the BRV on environment and the collection of tyre casings (communicated by Ultra-Seal on 30/10/2017). In this oral hearing, the court informed Ultra-Seal and BRV that they were still convinced BRV’s statements were illegal even after review of the arguments and facts provided in BRV’s objection. BRV accepted the court’s decision being final and equal to a main action decision, and therefore lost the opportunity to go into higher appeal. Ultra-Seal on their behalf let go an outstanding penalty that the BRV potentially had to pay because the organisation did not hold themselves to an earlier decision of the court. The BundesReifenVerband is not allowed to uphold the statements anymore on both the product being environmentally unfriendly, and the wrongful accusations on possible tyre casing collection problems when tyres contain Ultra-Seal. If BRV does not obey the decision of the court and continues sending out any such statements as prohibited by the court, a penalty up to €250,000.00 as stipulated by German law can be imposed on BRV. Ultra-Seal has come to an agreement with GTO Piese de Schimb SRL for the distributorship rights for the sale of Ultra-Seal in Romania, Bulgaria and Moldavia. GTO Piese de Schimb SRL has over 20 years of transport-related industry experience and focuses on reselling parts and spare parts to end-users in Romania. The Romanian company’s headquarters is based in Bucharest, with 7 subsidiaries throughout Romania. GTO Piese de Schimb is a subsidiary of GTO Truck and Trailer parts in Holland. With its headquarters based in Heerlen, the Group in The Netherlands has over 140 employees and had a turnover of 80 Million euros in 2017. The GTO Group specializes in selling DAF trucks, spare parts for trucks and trailers and OE parts of, amongst others, BPW, SAF, DAF, HELLA and Textar. The Group also has a network of professional workshops for truck and trailer repair. Change in Danish legislation on trailer MOT regarding tyre sealants non-legally based? On 1 January 2018 new Danish guidelines on trailer MOT were published with an added paragraph about tyre sealants. After research and preparation for appeal, the first conclusion is that the modified guidelines, which are not law, have been changed based on a one-sided argument regarding tyre sealants without consultation of that specific business segment. In addition, the extensive statutory instrument regulating MOTs has not been changed with respect to this new paragraph. Ultra-Seal and its lawyers are investigating the change, initiated by the Danish tyre association, and are confident to have it changed back to the initial guidelines which do not state anything about tyre sealants. 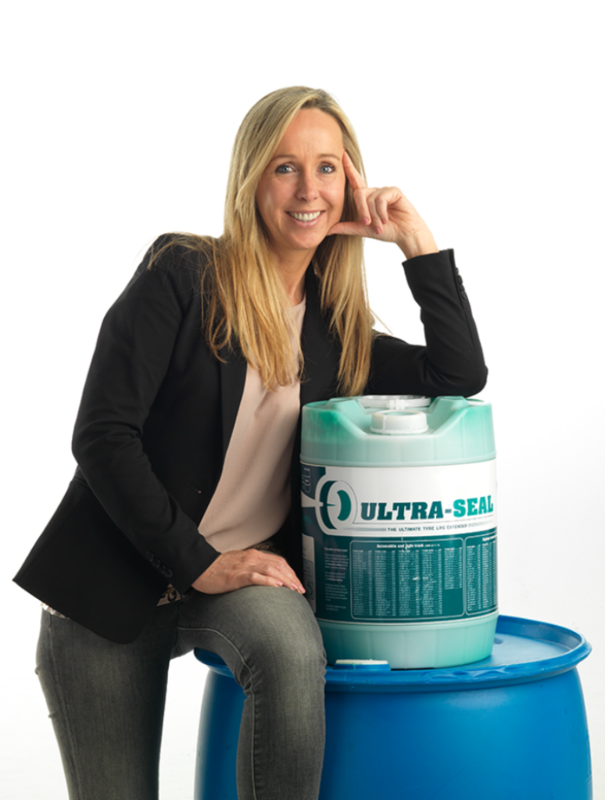 Carla van Santvoort, Business Development Manager of Ultra-Seal further states: “The fact that parties with other interests are trying so hard to keep us off their local markets, makes people realise how good our product is in its working. If it would not work as it intends to, tyre associations wouldn’t be so worried by it. We keep on defending our product against every party that creates disturbance. We owe that to all our loyal users and want to show the world that currently accepted tyre-life is not something that you should settle for." Ultra-Seal requests every user that is facing difficulties with its MOT in Denmark to report it to the company, as they are investigating the non-legality of it. You can now try the amazing proven benefits and attributes that Ultra-Seal bestows on its users, for yourself. Fill in the savings calculator and find out what Ultra-Seal can do for your business operations. was equipped with Goodride tyres. All 3 tyres on the left side of trailer were punctured with 10 nails per tyre. The nails were 5cm long, the top of the nails 5.5mm wide and the head of the nails had a diameter of 8mm. After these left-sided tyres were punctured 10 times each, no tyre repair, change or adjustments had been carried out. Only the air was checked; no air loss had occurred, so the trailer was sent into normal operation then and there. On 29 May 2017 the trailer came in for annual MOT in Sweden. 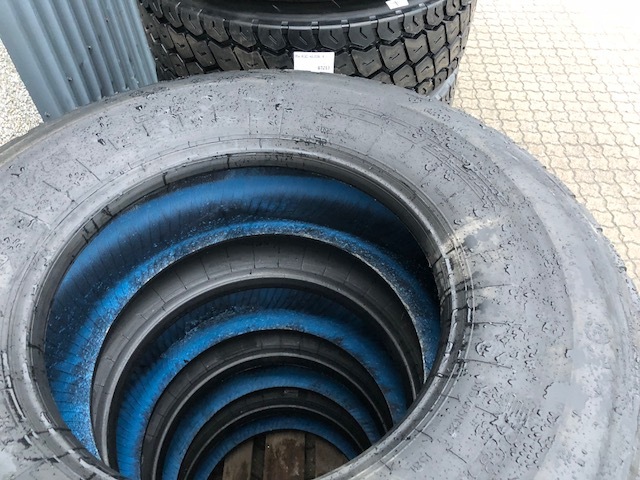 It still had the same 6 tyres under the vehicle and no tyre pressure adjustments, changes or repairs were carried out between July 2016 and May 2017. The trailer drove about 79,000KM in its first year of operation. The result showed that the tyres, punctured or not (even 10 punctures per tyre! ), had a fully equal air pressure both left and right! 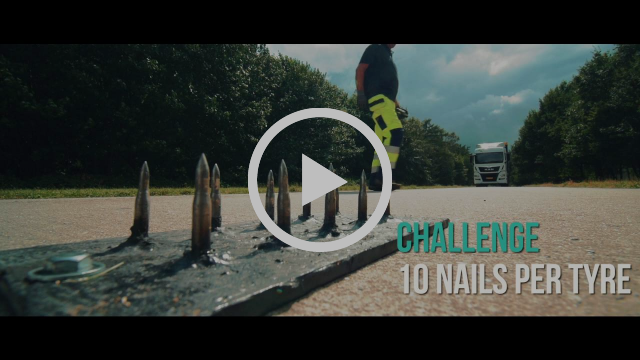 The remaining tread in millimetres showed a fantastic result as well and indicated that these tyres could still be used for driving another 80,000 KM. By winning a preliminary injunction court case in September that had been filed against Ultra-Seal by the BRV, Ultra-Seal itself has afterwards filed a preliminary injunction against BRV relating to new, wrongful statements the German tyre association made in the press against the tyre sealant company. This case has now also been successfully issued in favour of Ultra-Seal. After winning the preliminary court case against BRV in both court (Landgericht Bonn) and higher Federal court of appeal (Oberlandesgericht Köln) by Ultra-Seal, where Landgericht Bonn concluded that the ‘Richtlinien’ are not market conduct rules (Marktverhaltensvorschriften) within the meaning of German Unfair Competition Act (UWG), the BundesReifenVerband then took another approach in attacking Ultra-Seal by stating that the tyre sealant is bad for the environment and that problems can occur when tyre casings are being collected after being treated with Ultra-Seal. Ultra-Seal filed a preliminary injunction court case against these statements, and the injunction was successfully issued on the 18th of October 2017 by Landgericht Köln (33 O 153/17, open to appeal). The Landgericht Köln concluded that the BundesReifenVerband cannot uphold the arguments anymore on both the product being environmentally unfriendly, and the wrongful accusations on possible tyre casing collection problems when tyres contain Ultra-Seal. If BRV does not obey the decision of the court and will continue sending out any such statements as prohibited by the court, a penalty up to €250,000.00 as stipulated by German law can be imposed on BRV. After this second successful case for Ultra-Seal, the company now hopes that the BRV will stop attacking Ultra-Seal whilst doing business in Germany. 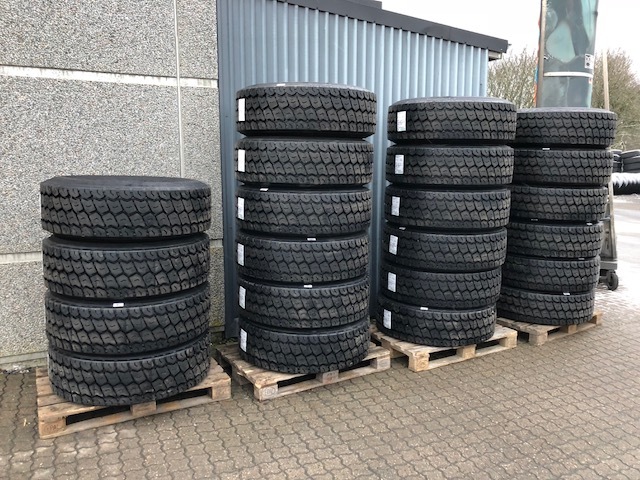 Many German and International companies like DSV, DHL, Ewals Cargo Care, TIP Trailer Services, Bring, Ancotrans, UES, Mezger and ICTS Group already benefit from optimum tyre usage, as they are benefitting from maximum tyre wear reduction, fewer punctures and optimum tyre pressure when using Ultra-Seal in its tyres. Ultra-Seal’s customer base and the usage per country in Europe is growing fast. Wendy will be handling sales and support in various countries. Coming from the Logistics business after having worked for Transamerica and RTR-tyre-management in the past, Wendy is fully equipped with the correct knowledge and skills to answer all your enquiries and other related sales and product questions! Alphons will be handling technical sales and support in various countries. With a background of working in the (technical) parts business at, amongst others, Förch Nederland, Alphons is available to answer all technical product, tools and service questions you may have!